Using old techniques of screen printing, hand glazing , brushing combined with the latest technologies of tile printing we reproduce these beautiful decorative Victorian & Minton Tiles. 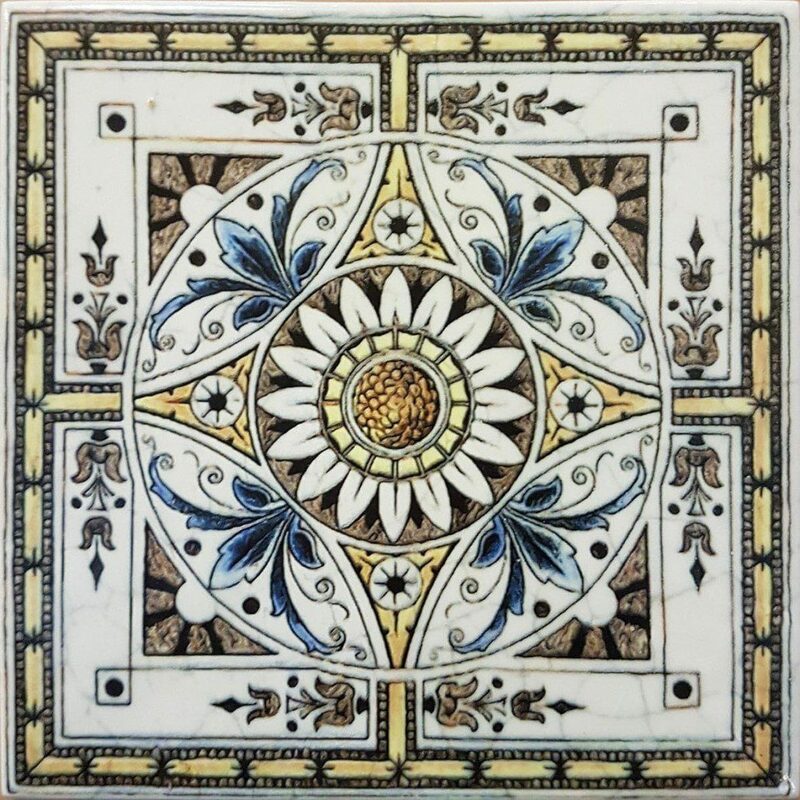 The standard Victorian tile sizes are 15×15 cm but custom sizes can be ordered too. MINTON was founded in 1793 by Thomas Minton and Joseph and Samuel Poulson. Thomas Minton produced earthenware and in 1798 started making fine bone china.On his death, he was succeeded by his son Herbert, who started producing decorative tiles. Minton entered into partnership with Michael Hollins in 1845 and formed the tile making firm of Minton, Hollins & Company, which was at the forefront of a large newly developing market as suppliers of durable decorative finishes for walls and floors in churches, public buildings, grand palaces and simple domestic houses. The firm exhibited widely at trade exhibitions throughout the world and examples of its exhibition displays are held at the Smithsonian Institution in Washington, D.C. where the company gained many prestigious contracts including tiled flooring for the United States Capitol. Royal Doulton effectively took over Minton in 1968.